ARD has acquired Hinterland, marking the German public broadcaster’s first acquisition of a UK drama for primetime in several years, TBI understands. The buzzy noir detective series is shot in Welsh and English and produced by Welsh indie Fiction Factory. Shot in Wales it aired on Welsh pubcaster S4C, which originally commissioned the show, last year. It has also gone out on BBC Four in the UK. Hinterland is distributed by All3Media International, the sales arm of the UK super indie currently being acquired by Discovery and Liberty Global. 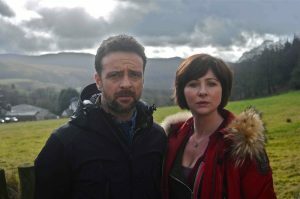 It recently shopped Hinterland to Netflix, which will launch it on its streaming service in North America and Scandinavia. ARD recently acquired FremantleMedia-distributed UK comedy series Cuckoo, which was notable as its first acquisition of an international scripted show for access primetime in ten years. Hinterland, however, will feature the broadcaster’s primetime schedule. TBI understands that in addition to the notable German deal, All3 has also sold Hinterland into several other international territories. In Australia, BBC Global has picked it up, in Iceland public broadcaster RUV has taken it and in Norway NRK has bought the show. Two other broadcasters that have picked up the series – French regional channel Dizal and Belgium’s VRT – will show the Welsh-language version, which is called Y Gwyll. VRT will then show it in English at a later date.